The Telegraph points to the job listing from the Suffolk Wildlife Trust. They seek “an inspirational individual,” ready to “use your knowledge of nature conservation and hedgehog ecology to lead an ambitious project seeking to make Ipswich the most hedgehog friendly town in the UK.” Hedgehogs are the subject of some concern in the UK, as their numbers have reportedly dropped drastically in recent years. Make no mistake—this is not some part-time gig you can hold down while also maintaining the busy schedule of a cozy mystery series protagonist. 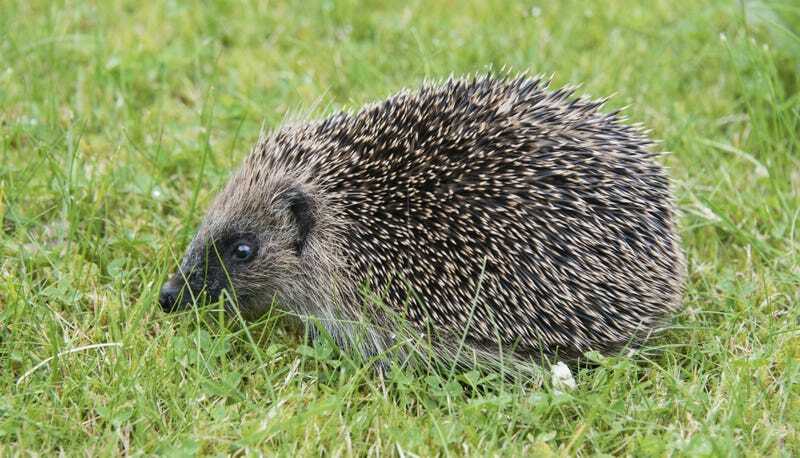 Suffolk Wildlife Trust’s Suffolk Hedgehog Survey and a recent Ipswich Wildlife Audit highlighted Ipswich as a hedgehog hotspot, with remarkably rich, well connected wildlife habitat. However, like any modern townscape, it is fragmented by houses, roads, walls, fences and over-tidy gardens. Bringing together your wildlife conservation skills and your experience of leading and developing community wildlife initiatives, you will mobilise participants in Ipswich to create a street by street network of hedgehog accessible habitat and monitor hedgehog activity; following the model of the ‘Hedgehog Street’ initiative developed by British Hedgehog Preservation Society and People’s Trust for Endangered Species. By inspiring streets of people to act together to create habitat links and remove the barriers to hedgehog movement between gardens, your goal is to establish a network of feeding, nesting and hibernating habitat across the town. Part of the effort to conserve hedgehog populations around the UK has involved attempts to build “a network of hedgehog superhighways crisscrossing Britain,” according to NPR—with, for instance, homeowners putting holes in their fences expressly for traveling hedgehogs. Should you secure this job, you would be “leading hands-on community activities, training events and driving a proactive media campaign, to raise awareness of the needs of hedgehogs and the opportunity to turn around their fortunes in Ipswich.” If your entire home is decorated in Mrs. Tiggy-Winkle memorabilia, this is your big moment.